The New York City "system" of criminal justice is not consistent. It was not constructed at a particular time or place but has slowly evolved over time and differently in different places throughout the metropolitan area. At it's core lies the belief that a person may be punished by the government only if their guilt has been properly proven. Every borough and county in the New York City metropolitan area has its own criminal justice system, and there is a Federal one as well. All have their similarities and differences. Criminal cases begin with a formal arrest or desk appearance ticket charging the commission of one or multiple offenses involving violations, misdemeanors, or felonies. This can be based on overwhelming evidence or merely one person's statement to the police. After the arrest, the criminal defendant is transported to central booking and the arresting officer will contact the District Attorney's Office (DA) to prepare a complaint which is then filed in criminal court at the arraignment. If the police officer issued a desk appearance ticket (or sometimes just called an "appearance ticket"), the defendant will avoid being logged in central booking and will be notified when and where to appear for the arraignment. Desk appearance tickets are given to expedite the arrest and not because the case is less serious. While the police department consults with the District Attorney, the criminal defendant must, unfortunately, wait in central booking for about 24-36 hours or longer. If a family member or friend of yours was arrested, the faster you contact us, the faster we can fight to get them released. While waiting in central booking, the criminal defendant may be interrogated by the District Attorney. This is a common strategy by the District Attorney because they are aware that most people don't have a lawyer and don't know their rights. Basically, a pre-arraignment interrogation is a blatant attempt to trick defendants into making a statement. Interrogation before the arraignment can also happen prior to the issuance of a desk appearance ticket and can lead to the same negative consequences. Many people feel that they can "talk their way out of it" but this rarely works. Usually, statements given to the police or District Attorney will only make things worse. Call us before speaking to the police. The arraignment or "return date" listed on the desk appearance ticket is the first official court proceeding and signals the start of a criminal case. Some criminal defendants are brought to the arraignment courtroom in handcuffs and others walk in the front door with a desk appearance ticket. While inside, defendants must appear at the front of the arraignment courtroom and before an Assistant District Attorney and Criminal Court Judge. While standing there, they will find out if they will be released. Release depends on bail. If the judge sets bail, defendants will, unfortunately, be incarcerated while the case is pending and before guilt or innocence is determined. If bail is set, it can be devastating because it can be unexpected and the first time you see the inside of a jail cell. Bail can be set even if a defendant walked in the court voluntarily with a desk appearance ticket. After the arraignment, cases are presented in a different courtroom where the District Attorney continues to build his case. The efforts of a New York City Criminal Defense Attorney can have an enormous impact both at the arraignment and during the subsequent litigation. At the arraignment, a New York City Criminal Defense Attorney can demand your immediate release, fight any efforts to get you to plead guilty, ensure that your rights are intact, and move for a dismissal of the charges. This is done by arguing in court, filing motions, and demanding discovery (the government's evidence). Each court appearance after the arraignment also affords an opportunity at a complete dismissal and plea negotiations. A misdemeanor case may be resolved after only one court appearance but it may take many more, depending on the severity of the charges and the complexity of the case. Felonies can last for several months or longer. Contact us to learn how long your case may last. A criminal case will probably end with a conviction or dismissal. 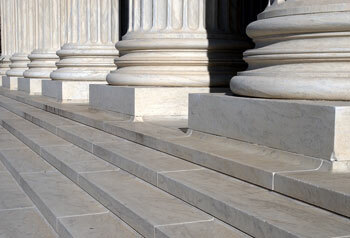 Our office is prepared to handle your case at any stage up to and including trial. Call 212.619.3900 for a confidential case evaluation. A complicated place to find yourself. If you or your loved one's case is pending in New York City or the New York City Metropolitan Area, there are three things to keep in mind. First, there is an inherent rush to justice. Most people think that someone is guilty just because they have been arrested. Secondly, jail is only one of many consequences of a conviction. Loss of employment, license suspension, loss of immigration status, and a lower credit score are all possible consequences of any conviction. Finally, convictions are, generally, permanent. There is no expungement in New York and a conviction will be on your record forever. Don't trust your future to just any attorney. Demand an experienced attorney who only handles criminal defense, practices in New York City, and has handled cases like yours before. At the Law Office of Lance Fletcher, PLLC, Mr. Fletcher, a former Manhattan prosecutor, has successfully handled thousands of criminal cases in New York City. Contact us for a Evaluation and confidential case evaluation.